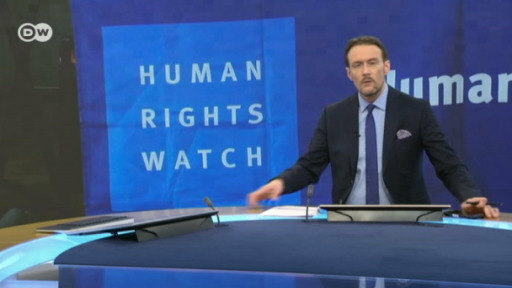 Human Rights Watch (HRW) Executive Director Kenneth Roth had good reason to present his organization's annual report in Berlin on Thursday. Roth told DW, "If you look around the world, the traditional powers were largely absent" when it came to championing human rights over the past year. Roth praised German Chancellor Angela Merkel, however, noting her work on applying pressure on rights abuses in Hungary and ending arms sales to Saudi Arabia. Roth said: "Trump was too busy embracing the autocrats he sees as friendly. Britain was completely preoccupied by Brexit. French President Macron talks a good game, but really didn't implement it. Even in Germany, where Chancellor Merkel has been a real hero, she has also been beleaguered by a far-right challenge." Merkel, too, has been weakened domestically in recent years and intends to step down as chancellor at Germany's next general elections in 2021.